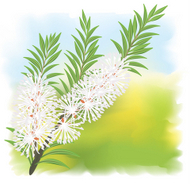 Tea Tree pure essential oil, melaleuca alternifolia, has wonderful antiseptic qualities. It's most common and well known usage is for Athlete's Foot. This ancient essential oil has been used by the indigenous population of Australia for many thousands of years. It is considered to be at least 12 times as strong as carbolic acid - a very powerful antiseptic! It's antifungal, anti-viral and antibacterial properties put it in a class of its own in my opinion. And not only in my opinion - it has been scientifically studied and the conclusion reached was that Tea Tree is unusual in thatit is active against all three varieties of infectious organisms: bacteria, fungi and viruses. Use it for all types of infections like acne, ringworm, sunburn, boils, cold sores, dandruff, pimples – the list goes on...As mentioned above it is amazing for Athlete's Foot and other fungal infections. It is the top essential oil for fungal infections. Use diluted in a sitz bath for all genito-urinary infections. This can include cystitis, vaginitis, candida. For the digestive system it is effective with diarrhea, mouth ulcers. Its anti-viral and antibacterial properties make it very useful for respiratory infections like the flu - make up a spray bottle with water and a few drops of Tea Tree and Lavender and spray the sickroom to help reduce fever and clear the air of bacteria. 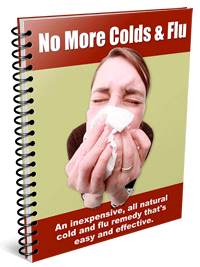 Effective in bronchitis, respiratory congestion, tonsilitis, sore throats. This warming pure essential oil is wonderful for bracing the spirit and improving self confidence. It’s an energy booster and general mood enhancer. It is brilliant for cleansing a room of negative energies as well as the bacteria so give a sick room a spray of this oil mixed in water. Warm, fresh, spicy, camphoraceous scent. This is one of the very few essential oils which can be used neat on the skin. However, patch test first as it can cause irritation.